If you own a SUV with a third row seat and have always wanted to add bass but didn't think you had room, this is the enclosure for you. This SledgeHammer enclosure is designed to fit perfectly in the cargo area behind the third seat in vehicles like Suburbans, Tahoes, Yukons, Expeditions, Sequoias, Navigators, Escalades, and more. This unloaded enclosure is constructed using 5/8" MDF and Dado V-groove technology ensuring that they are going to be durable over the long term no matter what subwoofers you put use. 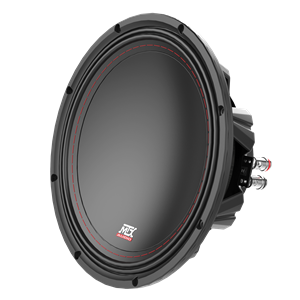 This enclosure is designed to handle any sub and deliver the ultimate in performance. The unique design allows the subwoofers to be installed in a vertical position with a center port allowing for extreme SPL. 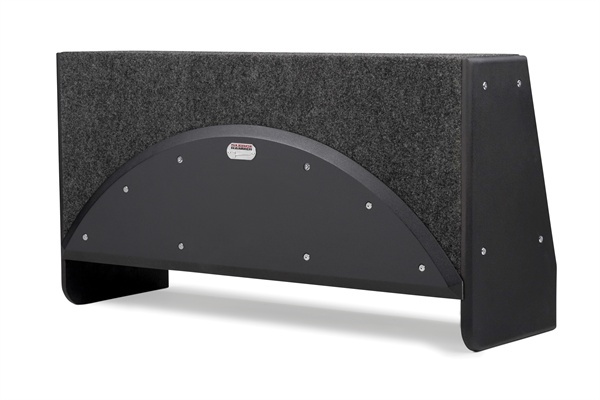 An internal rear magnet brace makes this enclosure ideal for the largest subwoofers. The aviation grade carpet is extremely durable and the high quality terminal cup and compression terminals make installation easy and worry free. 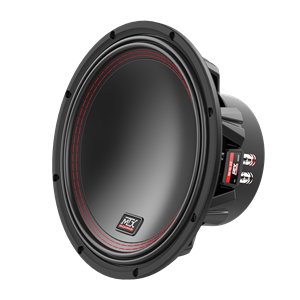 The SledgeHammer is the ultimate unloaded enclosure and only MTX delivers the high quality and unique design that make this the ultimate choice for subwoofers of any size.